I gave a "Branding, Differentiation, and Firm Culture " presentation last week to a Seattle law firm that put me up at the Monaco Hotel. I love all the quirky Kimpton family hotels. The rooms are all unique and different, with funky furniture and furnishings. At the Monacos, it's all the little eccentricities that differentiate them and set the tone for your stay. 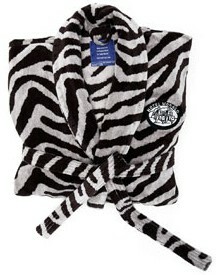 For example, at a typical Hilton, Hyatt, or Marriott, the robes in the closets are fluffy and white. 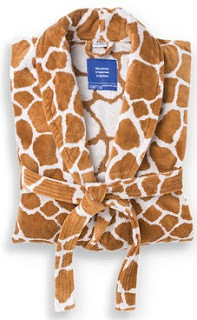 At a Monaco, they're leopard or giraffe print or zebra striped. Simply donning a robe makes you smile. And I'm not really a "robe" guy. My favorite part, however, is - if you're lonely, they'll bring you a pet goldfish in a nice big bowl. Frankly, I don’t get too lonely in hotels. With a house full of kids and carpools, it's nice occasionally to sleep in a quiet room. But I always request a goldfish anyway. When the bellman brought it to my room, he set it down -- along with a tiny table-card informing me that the fish's name was Jason, a clever touch. You can't stay at a Monaco Hotel and be crabby. The little quirks put you in a good mood and on your best behavior. The staff is well trained and highly professional and the accommodations are appropriate for a business traveler, but the innovative touches make it more personal - a pleasant change. When I spoke to the firm, we were talking about culture and differentiation. "All law firms look alike," the managing partner declared. I assured them that they didn’t have to. It's up to the firm to decide who they want to be, and how they want their people to behave. What they value and how to execute on it. But we have to decide very specifically, and tell them just as clearly. Then we have to model that behavior. 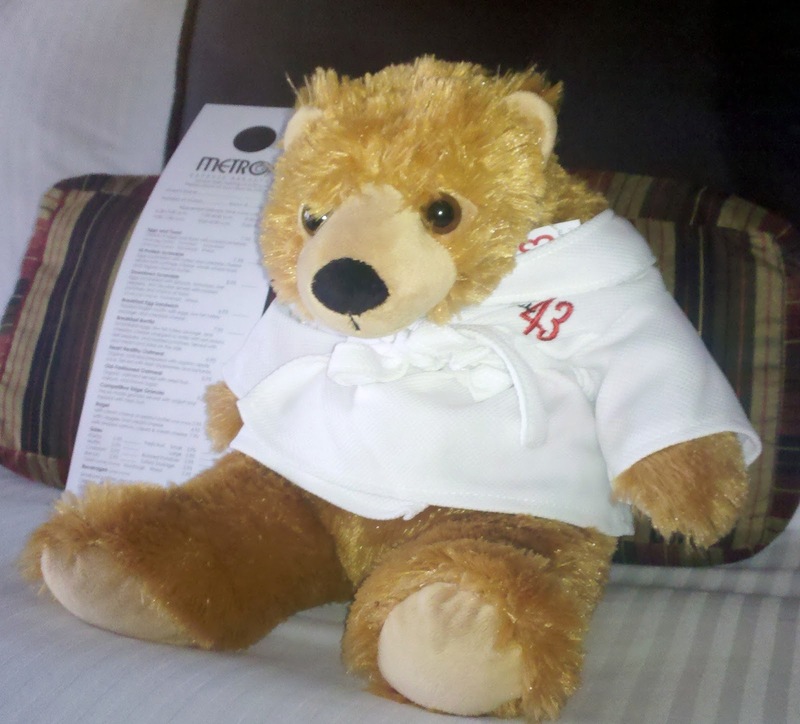 As it turns out, he also loves staying at Monaco Hotels. I asked him, "What would you do differently if you decided you wanted to become the 'Monaco Hotel' of law firms?" If you wanted to infuse more style and personality into your environment? You can. It's a matter of choice and leadership. The Gilbert LLP firm ("The Harley-Davidson of big law firms") has racing motorcycles in the lobby instead of sculpture, and autographed electric guitars and album covers instead of framed artwork. It's a conscious decision. What would that look like at your firm? How would you dress? What would hang on your walls? What little robes or goldfish-like touches could you create that would be appropriate for a law firm, but still get people talking and feeling like they were part of something unique? How could you make your environment more comfortable and inviting for your clients? What training would be required? Would you have to hire different people? It's not that you can't. It's just that you haven't. But wouldn’t it make the firm a more interesting place to work? I just returned from Boise, Idaho, where I stayed in the Hotel 43. 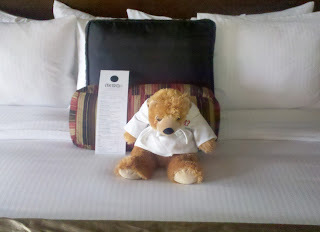 Not only is it attached to the outstanding Chandlers Steakhouse (order the Argentine Ribeye - wow), but when you enter your room, you are greeted with a little stuffed bear on the bed wearing a Hotel 43 terrycloth robe. It's just a little thing, but after a long day of traveling, it really helps set the hotel apart from the typical business hotels. It doesn't take much to stand out, but you first have to know precisely who you are and what your message is. Once you do, finding ways to convey that sensibility to the marketplace is relatively easy. How can your firm use this same type of idea? I don't mean tiny plush lawyers in terry robes. Move it along.